Explanation: What would it be like to visit the Moon? 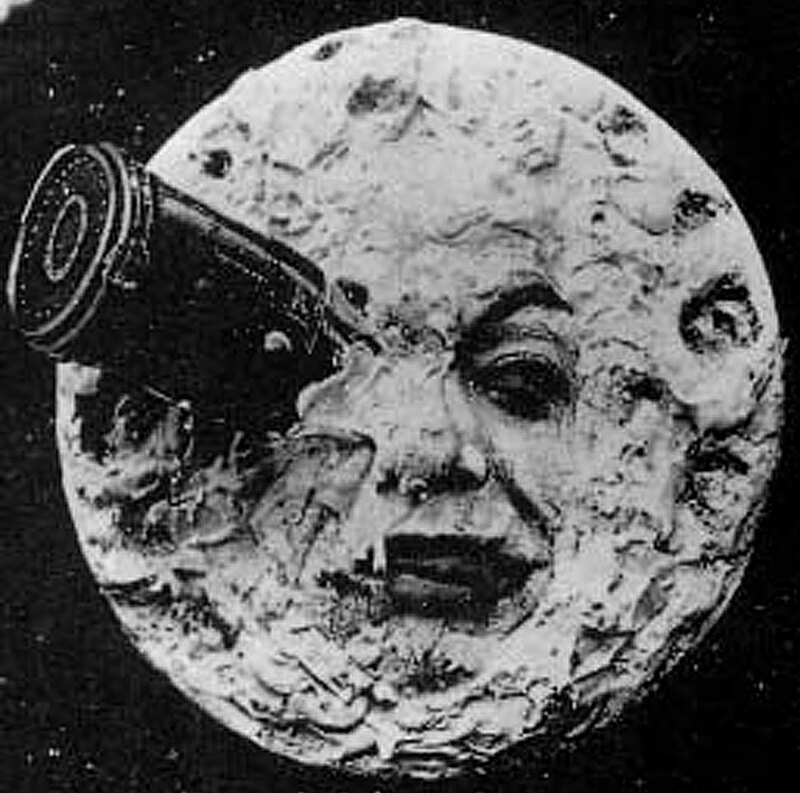 The first major fictional cinematic film exploring this enduring transcultural fantasy was titled Le voyage dans la lune (A Trip to the Moon) and made in 1902, becoming one of the most popular movies of the early years of the twentieth century. 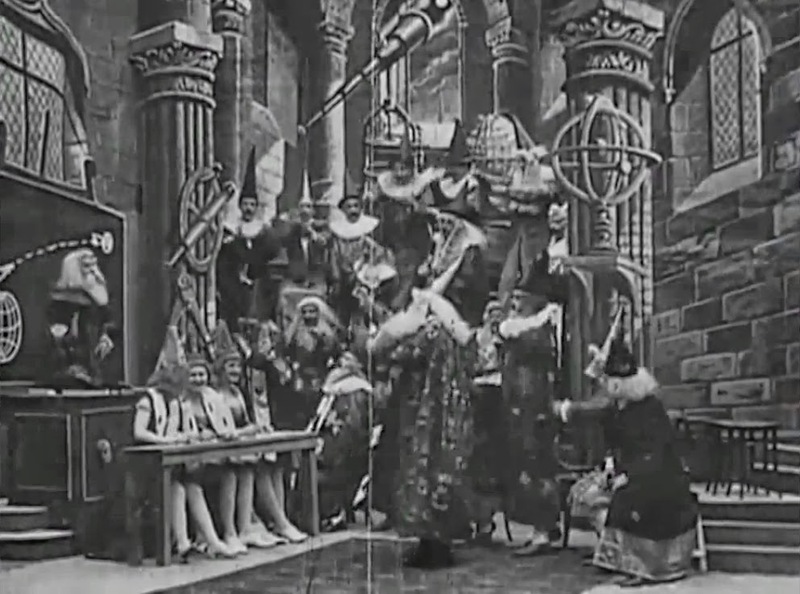 The silent film starred the filmmaker Georges Melies himself and portrayed a club of astronomers voyaging to the Moon and back. Pictured above is a frame from the movie that has become an enduring icon for both film and space. 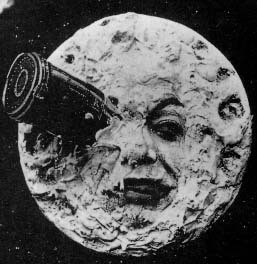 Alluding to a bullseye trajectory, the Man in the Moon is caricatured as being struck by the human-built spaceship. The entire 14-minute film is now freely available. Visiting the Moon remained a very popular topic even 67 years later in 1969 when humans first made an actual voyage.